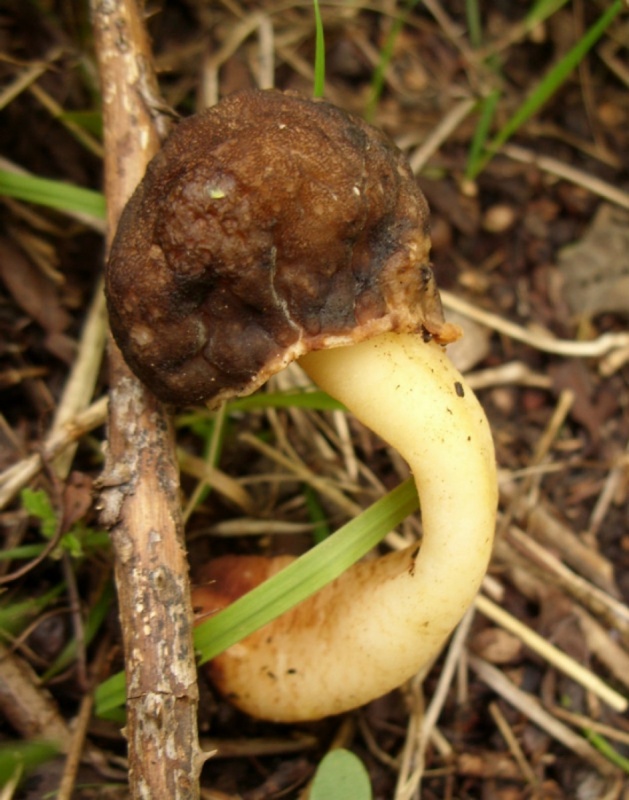 Verpa conica is a curious springtime mushroom. Its cap hangs free from the stem, rather like a little thimble on the end of a pencil. 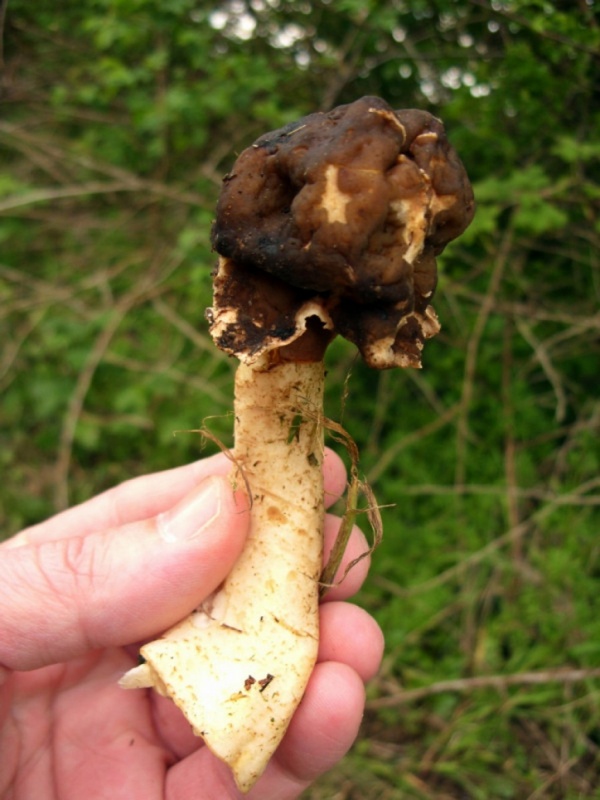 It is not a true morel since its cap is not at least partially attached to the stem, and there are other differences. The cap is a reddish-brown to olive-brown colour when fresh and varies from 1.5 to 4 cm across. 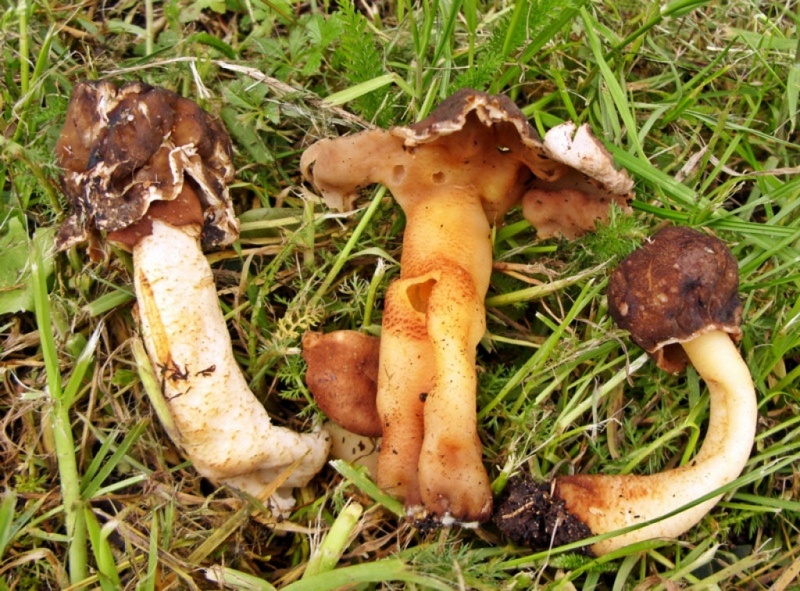 Usually found on the ground in woodland or well wooded places. It may have a preference for neutral to calcareous soils. Fairly widespread in England and Wales but not particularly common.